We are passionate about flooring, it's our world, it's what we do and we have it covered. At the last count shipping product to 98% of the planet! Royal Caribbean’s "Freedom of the Seas" World’s largest cruise ship boasts Polyflor homogeneous vinyl flooring in crew areas. Highest train on the Planet, the Machu Picchu Railway in Peru, finds Voyager flooring underfoot in every carriage. The Svalbard Global Seed Vault located in Norway is a secure underground seed bank close to the North Pole and is an attempt to insure against the loss of seeds in other genebanks during large-scale regional or global crises. Primary funding for the Trust comes from such organisations as the Bill & Melinda Gates Foundation and from various governments worldwide. 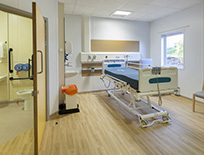 Polyflor flooring products were chosen for use throughout the facility. Some famous venues house our flooring. From the Kremlin Conference Palace to The Nelson Mandela Academic Hospital to Port Stanley Airport. 100,000 seater Melbourne Cricket Ground sported specialist Polyflor products at the 2006 Commonwealth Games as did many of the sports venues at the Olympics in Athens 2004, Beijing 2008 and London 2012. Poles Apart - James Halstead flooring is to be found both at Scott Base in Antarctica and in the Svalbard Hotel on the edge of the Polar Icecap.